I am often frustrated with the way critics talk about pianists; an oft-used phrase is of a pianist having “dazzling technique” – well what exactly is meant by that? I want to try and explain. Acquiring, developing and shaping good technique is central to the life of a pianist. A teacher once taught me to think of the piano and the music written for the piano like a piece of literature: read it, analyse it, dramatise it, think about it and then read it aloud in perfectly articulated and phrased English – He, essentially, told me to read my piece to him. 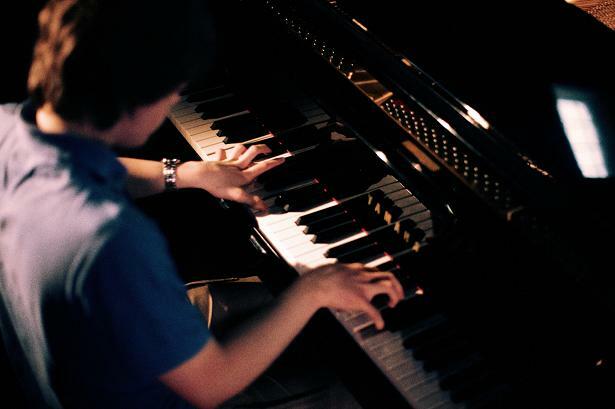 Every pianist, whether a beginner or an old hand, questions the very nature of technique. I think one of the greatest flaws of various young pianists is that they see technique as primarily a case of ease and agility, but there is so much more. Yes, to play all of the semi-quavers in Chopin’s F major etude in tempo, and to do so cleanly, is essential. But it is just as essential to play them smoothly, without unnecessary accents, with a beautiful yet equal tone and with all the dynamics. That is the key to a good performance and there we have implied technique. I once heard about a piano student who practised for hours, purposefully, on difficult passages, learning to play them faster and often louder than any of us could have dared. Well: speed isn’t everything. Despite his clear skill and ability to fluently play these quite difficult passages, I wouldn’t say that he had a good technique. Although he was digitally dexterous, he didn’t observe the need to support the mind, to realise the interpretative notions behind the passages. Your fingers should always serve you, without ever losing control. Now, I have mentioned interpretation, which is another part of the pianist’s mind, but technique and interpretation are so closely linked that sometimes it seems hard to determine where one ends and the other starts. Let me take Schumann’s Papillons, the first four bars request prestissimo – legato and fortissimo at the same time. Here, the technique influences the interpretation. Of course, technique isn’t everything, but is indeed a strong hold. The key for a masterful pianist is how one stretches technique to its greatest extent. A fine interpretation is not plausible without the aid of a fluent and docile technique. How to play a phrase intelligently, how to sing on the piano, how to make the melody distinguish itself from the accompaniment should all act together. Mozart’s A major sonata will prove my point: The first eight takes three hands. One’s left hand has to double as the accompaniment and as the bearer of the theme while the right hand commands another accompaniment, with the melody in the middle and one hand doing two jobs, we need to be clear on the theme. Going back to my small theory that playing the piano is like literature; any great writer, in order to express her thoughts, needs a thorough knowledge of the grammar of the language that is being written. This takes time and experience. There are no shortcuts and so the writer writes and so the pianist should play. When one attempts a piece for the first time, one would play notes with both hands; using the pedal to connect these notes and to colour the playing. One plays scales, runs, thirds and octaves; one memorises the piece to have engraved in the mind for perhaps future use; one contemplates dynamics and one would size up the possibilities and limitations of what has been written and in doing so, we have a technique. What we have practiced a few times maybe hesitant and awkward, though on further attempts it becomes clearer, and further attempts lead to fluency and precision and so on. A million motions counts for everything. This fluency, repetition, mechanical engineering and technique is refined with hours of repetitive practice so that the pianist, during a performance, can free their mind of the thousands of tiresome yet necessary details giving us a full-flowing, technically brilliant and free spirited performance without the necessity of clogging up the brain with what should be covered in technical preparation. “Practice and time also counts, for a lot.” I always use this quote, but I guess spirit and feeling come above most things. Yet I feel this is achieved by the technically inspired and correct. Beethoven, upon hearing a violinist claim that certain passages were “unplayable”, simply remarked: “What do I care about your miserable fiddle when the spirit moves me?”. I don’t play the piano but found this very interesting Paul – thanks! I really love to read the Information on Piano. It really looks very Interesting and Informative. Please keep sharing.